Yeah, I share your sentiments here. It’s a very telling sign when My Little Pony movie is looking like one of the potential highlights of next year. I will start out positively and say that in general, 2016 has been a good year for animation outside of a few films. Not looking forward to 2017 either. Hated The Nut Job, and the sequel should have been canned. Don’t care for the overrated Despicable Me franchise which has never been anything but good at best, DreamWorks’ additions look disappointing, and are still struggling since their financial issues in late 2012/2013. Animal’s rant about the Emoji movie covers my emotions about it really well, and I don’t care for the Lego franchise. To be optimistic, I heard that Cars 3 will be more similar to Cars than the sequel. Next year will be a tough one for sure. That first movie looks absolutely HORRIFIC. That said, it’s not from a major animation studio or an interesting indie director, so I probably wouldn’t have paid it attention anyway. Same with several others on the docket. Pixar (Cars 3 and Coco): Cars 3 is supposedly about Lightning dealing with the loss of Doc Hudson, which sounds like an interesting idea, but since Cars 2 exists I truly wonder why that movie didn’t tackle this plotline. It would have made so much more sense from a continuity point of view. Coco I have mixed feelings about, since Book of Life wasn’t my cup of tea, but I try to watch every Pixar film. DreamWorks (Captain Underpants): Nope. DreamWorks seems to alternate (sometimes in the same year!) between really good and really awful. Illumination (Despicable Me 3): Seems like a cash grab. I enjoyed the original film but the sequels haven’t been as good. Blue Sky (Ferdinand? ): I would love if this project actually went ahead. The book was among my favorites when I was little (it’s about a bull who, instead of fighting like his friends, enjoys smelling the flowers and resting at home instead). Lego Batman sounds like fun, and MLP could be good. Thrilled that Tomm Moore is doing another movie! His last one knocked it out of the park. I do believe Kubo should have made more at the box office than Ice Age, but I think the latter was a more recognizable franchise that a lot of 90s/00s kids grew up with. Hence, it had a larger and more established audience that Kubo. On a side note, I was really confused by Kubo’s ending (about the grandfather returning), so I would love if you could explain it to me. The sad part is Boss Baby is from a major studio Dreamworks. Just saw that in the trailer! DreamWorks have made questionable decisions before but this makes Home look like gold. True we can always rewatch our favorites and someone on facebook did bring up a good point that 2017 animated TV looks very promising, which is true. I don’t know why they felt like shifting the franchise so much for Cars 2, and then to go back to the more settled down theme for Cars 3. It is way too jarring, but at least they seem to have learned from the mistakes of Cars 2. Mator should have never been the protagonist. Illumination has relied on the Despicable Me franchise to keep their studio afloat for the entire decade. Hopefully they end it soon, and we can see if they last the test of time without those films. Yeah if you listen to the audio commentary it is clear John Lasseter loves Cars 2 and he had dreamed of making a spy movie. It’s a shame because a Pixar spy movie with humans could have been cool. Pixar prides themselves on making original sequels not even in the same genre as the original. I think in Cars 2 they pushed that good aspect of their model too far. I hope Cars 3 is a bit of redemption for them. I bet the indies will save you. THE RED TURTLE and MISS HOKUSAI if they don’t make it to release this year in 2016 will show up next year (especially if they get nominated). MY LIFE AS A ZUCCHINI is also great. Next year we should see LOVING VINCENT which is hand painted. And then there are the usual sudden indies that are special from various countries, particularly France and Japan. Yes, I really do understand you. This Alec Baldwin baby boss is just…I don’t even have a word for what it is…:( Ballerina would have been a nice choice for 2017, but it comes out in December 2016. My favourite 2017 animation so far is The Red Turtle, coming out in January 2017, some say it is really good. Right? Boss Baby feels like we are all being punked. I cant wait for Red Turtle. I’m not really depressed about any of these films yet. I’m excited about The LEGO Batman Movie, Cars 3, and Coco. And I’m interested in Ferdinand if anything ever happens to that. The Nut Job 2 shouldn’t exist in my opinion and I’m not interested in Captain Underpants. I’m open to the EmojiMovie, Smurfs, and Despicable Me 3. Boss Baby could go either way for me. I’ve never seen MLP, so doubt I’ll watch that movie. And I don’t really have interest in the Nativity Star film. I dunno, I just feel this year is just like any other year with animation: some good, some bad. I have to admit that I wish we could all go back to 1937-the 60’s where animation was a respectable medium that didn’t capitalise on little kids. And you got it lucky as well, living in the animation Renaissance. And what did I get when I was a kid. Well, mainly Pinocchio and Robin Hood over and over again. I don’t get into cinema until 2009 which was a great year for animation. But what I’m trying to say is that we should respect animation. And start making TIMELESS films again instead the f*cking emoji movie. The most depressing part is that the Disney Animation studios won’t release anything. Overall I have the feeling that this will be the worst year for animation since 2009. I agree with you. Worst I can remember. 2009 was a great year though? yes, I meant that since 2009 we had at least good years and a lot of great ones. Ah yes I agree with you then. Oh…I nearly forgot: The worst since the year Frozen was released! That one was particularly bad, too! 2013 was very BLECH. Easily one of the worst years of animation in the 2010s. Ernest and Celestine is also completely lovely. I hope we get some great indie animated films in 2017 that we don’t know about yet. I certainly agree the past year has been way better than 2017 looks. I do have high hopes for Coco and the MLP movie that I really hope aren’t disappointing, and I’m just in “wait and see” mode for Cars 3 and most of the others. The Breadwinner has possibilities too. A few other films I know of are a Korean English-language one called Red Shoes and the 7 Dwarfs (not the best trailers but might be okay); Rock Dog (the jury’s out but has a good voice cast); and an animated Godzilla movie (based on the screenwriter, it has really good potential). Not a lot to pin hopes on, but hopefully something will surprise us. When you hear about anime or other films shoot me an email at smilingldsgirl@yahoo.com. Hard to be up on all of them. Did you see Harmony from this year? Will do. Actually, I’d never heard of Harmony or its companion film The Empire of Corpses. I just looked them up, and they look really intriguing. Have you seen it yet? That’s too bad, but I’m still curious to see it. Thanks for letting me know about it. This made me so depressed. I don’t understand what happened. But just to point out something, kubo was utterly amazing but it had major downsides that could be considered as brave risks but nevertheless ruined the movie. For me they were the father we antisipated so much as a samurai warrior ending up being a hyped cockroach that keeps throwing cheap jokes. Another turn-off was that the mother being the monkey which is weird. I could have survived it if it wheren’t for the romance between her and the bug. And them dying after being together at last was so disturbingly shocking. It all would have been ok if they allowed us to absorb it more. The ending was so freaken fast i wasn’t able to structure what was happeing correctly. But I have to say it was a great movie and the morals where over the top. I just wished they would have taken it simple and not stuff all their ideas and twists and tweaks in one movie. Pingback: Animation Pitch Session! 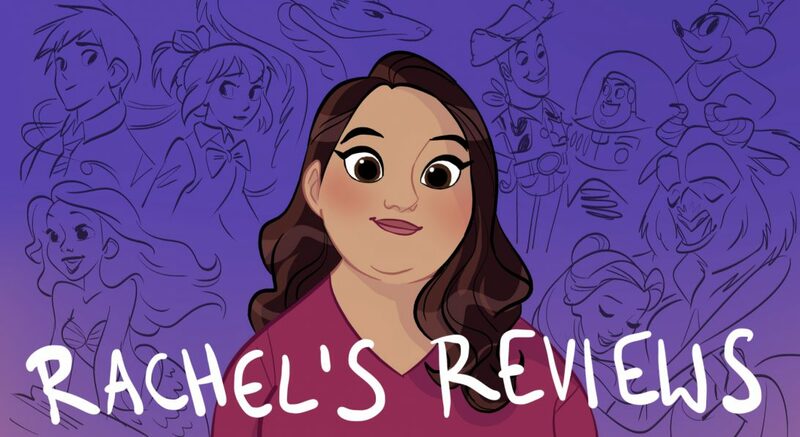 – Reviewing All 54 Disney Animated Films And More! This is quite a shocking revelation… animation has enjoyed a varied heyday for quite a few years now but 2017 could be the biggest slump in a long time. Between Boss Baby, Captain Underpants, Despicable Me 3, Emoji Movie, Nut Job 2 and The Smurfs, I think this is going to be a very rough year. I think Cars 3 and Lego Ninjago have the potential to be passable at best, but again not the most encouraging of signs. Pixar’s Coco really looks like the only film that looks set to be an Oscar contender, and could be a visually creative and engaging experience without needing to be one of their instant classics. Lego Batman and The Breadwinner could also be really good, the trailer for the former had me laughing until my eyes starting tearing! As for the My Little Pony movie, I must confess this; I actually am a casual fan of the MLP show and have been since late 2012, but I’ve rarely met any bronies in real life or gone to the conventions. The fact that it will be flash-animated to resemble 2D animation does bolster my confidence, but movies based on running TV shows tend to struggle quite a bit. I’m cautiously optimistic at best, but unless it’s amazing beyond the show’s parameters it won’t join Pixar at the Academy Awards. Is the world even ready to except a movie based on a Hasbro show with an unexpectedly huge fan base? Only just found your blog and I am loving it! We share exactly the same thought. Didn’t even know half of what is being released and I too will cry myself to sleep tonight – I mean really? I can write better stories then some of what is coming. I’m so glad you found my blog. Your comments are so encouraging. Thank you. We will all be crying! What’d you think of Cars 3 teaser? You’re welcome! 😃 Not a big fan of the ‘Cars’ franchise. I liked the first one but it always seemed a bit weird, the second one was CLEARLY a money grabber as the plot was cliché and unoriginal but this teaser looks promising. They’ve taken it a bit darker and I look forward to see how they tackle the issue. Definitely looks better than Cars 2! I actually can have some fun with Cars 2. I see the problems but I dont think it’s as bad as most people do. I thought the teaser was amazing!